Que: Which is not a unit of weight ? Physics GK Questions and Answers with Explanation. We had covered basic concepts and applications of Physics for UPSC Civil Services for Science & Technology and Phy Que for all Competitive Exams, Interviews, Entrance tests, Quiz. 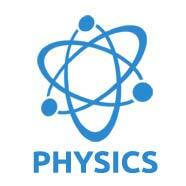 Here are 1000s of Physics general knowledge objective questions answers mcq which are important in ssc, upsc, ibps and competitive examination and entrance tests.Test your knowledge about Physics by playing free online Physics GK MCQ Quiz. The General Knowledge . Powered by Blogger.